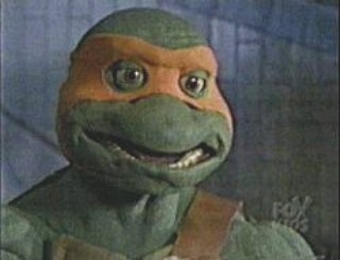 that is correct, Raph never had a Do-Rag on Next Mutation, Neither does Michelangelo. Clearly the effects of the mutagen became unstable over the years. Their skulls are slowly growing due to Acromegaly, the same disease that felled the mighty Andre The Giant. Also, as you can clearly tell from the expressions in the latter photos, their skulls are each home to a nest containing millions of spiders, thus the additional swelling/enlargement. The slack-jawed, vacant stares are a dead giveaway. 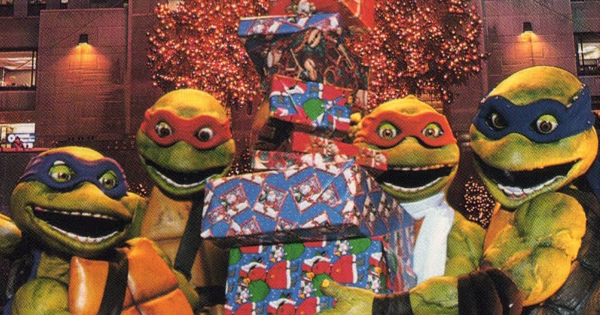 If you look closely at the lower corner of Donatello's mouth, you can just barely see them trying to escape.